You are here: Home » What is an Architectural Visualiser and 7 places to find one? 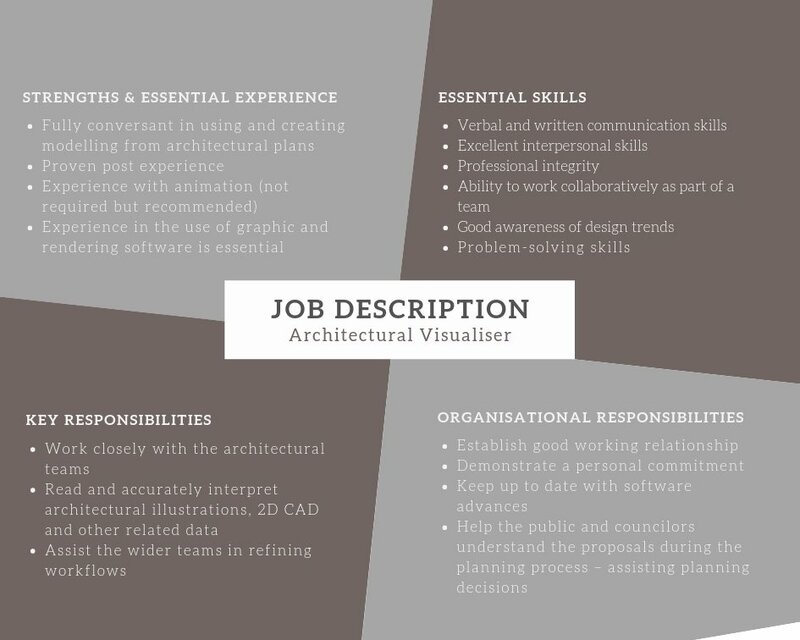 Have you ever thought what is an Architectural Visualiser and what is his/her job as a part of a project? Architectural Visualiser is a person or company that produces 3D images through special software. These are the people behind all beautiful 3D images that usually we see on presentations, billboards, magazines and many other sources representing unbuild architecture. Visualising architecture is not limited to envisioning unbuild structures or places, it can be used to recreate parts of existing ones, to confirm different conceptual ideas etc. Basically, the implementations are almost infinite of how we can use Architectural visualisations. Let’s find out more about what is architectural visualiser and where we can find one to hire as an employee or as a third-party for your project. As the end of 2018 is fast approaching Architectural visualisations are gaining more and more popularity between interior designers and architectural studios They tend to use these types of services and professionals to explain in the best way their projects or to create variations of a concept. Like any other creative industry on the internet, that one flourishing because of the way it can be presented. Architectural visualiser job is to support architecture and design teams with their projects. Visualisers turn ideas, 2D plans, illustrations and sketches to 3D models which after applying light, materials and textures they become 3D images often called computer-generated images (CGI). Those visuals are used from design and architect’s teams to justify proposed ideas on buildings, interiors and property developments. If you are an architectural or design company on the lookout for a skilful architectural visualiser, you should consider the following. The architectural visualisation market up-to-date becomes more and more convenient for people to hop-on due to flexibility and lacking regulations. A handful of colleges and universities provide training for 3D artists which costs thousands sometimes. With the recent trends and growing communities of tutors teaching 3D, the industry has seen a growing number of skilful architectural visualisers without architectural qualifications or equivalent diploma from an accredited institute. The facts show that having a diploma from a certified institute is not a guarantee for success or skilful visualisers. That by itself leads to two options for you as a company. Both possibilities can bring you equal results if you follow these simple steps and make sure you do thorough due diligence on their past experience and knowledge. Although there are certain trends set by the supply and demand markets, different types of architectural and design companies and the city they are located. A recruitment company provides the numbers provided above. Each range depends on the location, employer and the level of responsibility. Is it too expensive to hire Architectural Visualiser? As almost every project being architectural or design one, have some form of visual presentation. It doesn’t matter if it is for a client presentation or internal meeting or just for as a single person to justify different conceptual variations. Actually, according to Wikipedia the methods of visualisation through visual imagery has been used as an effective way idea since the dawn of humanity. Examples of that are cave paintings, Egyptian hieroglyphs, Leonardo da Vinci’s methods of technical drawings and many other. 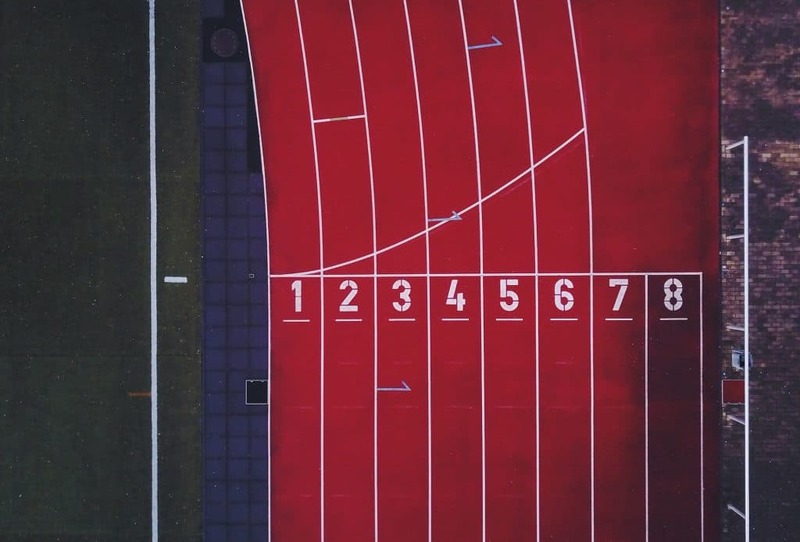 If you run on a budget or doing your project, It is not necessary to hire an expensive visualiser just for the purpose of having fancy visuals. There are numerous tools out there called one-click solutions paid and free. With basic knowledge and a bit of training usually provided by the companies releasing these tools, you can produce some form of 3D / 2D visualisation. On the other side, if you are a company or single person offering services, you might not have the time while running a business to be involved in every phase of a project. If you need 3D images for your project, there are numerous places where you can find Architectural Visualisers and compare their prices and portfolios. With the internet and technology today it is more than easy to research and find the most appropriate visualiser for your need. 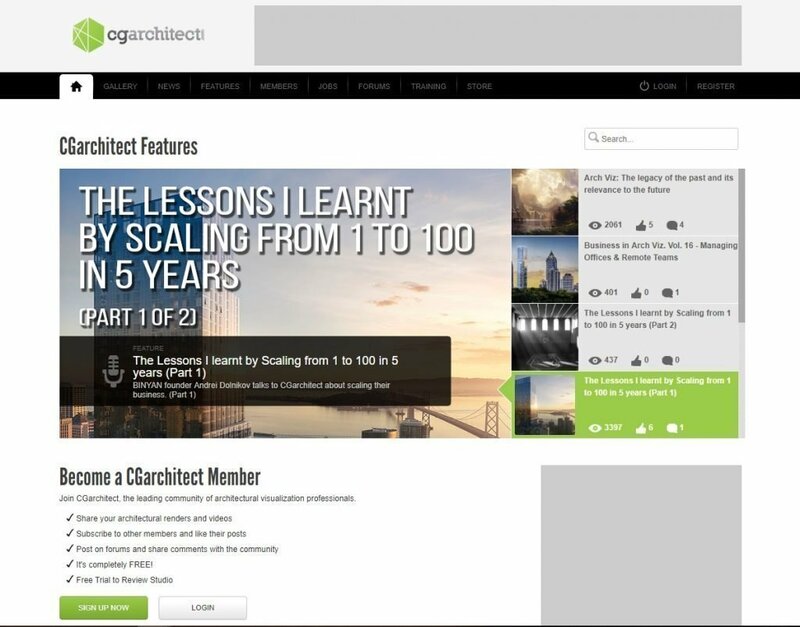 Top 10 places to find Architectural Visualiser. Searching on Google has become something as a part of our time spent on the internet. 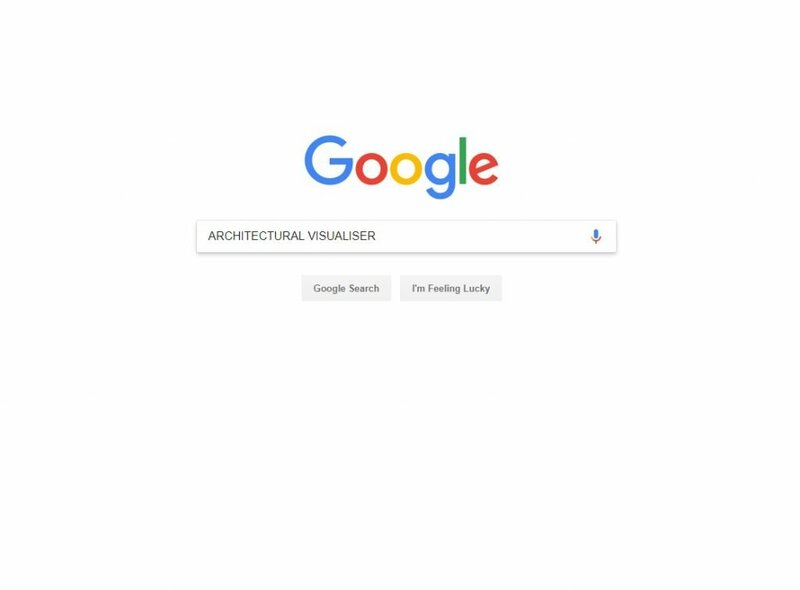 Although ranked number one on my list, searching for Architectural Visualiser on Google might not be the best way to find one. I just typed the search bar, and the first two pages of results were mainly by recruiters and hiring companies offering Architectural visualisation roles at different companies. If you really want to find some, just go beyond page three, but the results still will be mixed with recruiting companies. 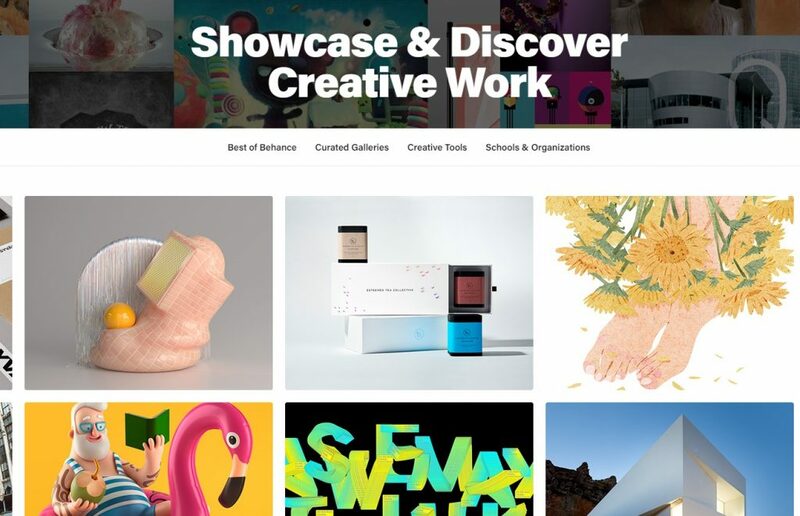 One of the top places to find creatives from different sectors including 3D. In one of my other articles on the topic How to find Interior Visualiser and contact them, where I listed 5 of the main ways that I would search, and Behance was in the first position there. Owned by Adobe (yes, the company behind Photoshop) I would say that Behance is a well-established platform for sharing creative work on the internet. The website is so vast that you can spend hours browsing between different portfolios and projects from different creative sectors. Like almost every website, that one is no more different and has a Search bar with options to filter based on Appreciation, Location, Creative field and type of project. By typing architectural visualiser you might expect to see hundreds of results, but by some weird reason, there are only a few results there – it is strange, I know. But just by modifying your search to Architectural visualisations or Architectural visualizations (depends on which English language you speak) the waiting is over. You can search between hundreds or maybe thousands of Visualisation projects of all types. If you like someone projects, just click on their profile picture or name you will be able to send them a Message with your enquiry. Another very authoritative platform to look for Visualisers. Originally started years ago as hybrid blog-forum where visualising community was discussing projects and problems. After years of growing, the website became a place to showcase Personal and commissioned work. There are categories Best of Week by years, nominated by a jury. Alongside that, there are sections of Making-of, Tutorials and Jobs. Where you can gain traction with professionals if you have the time to do it. 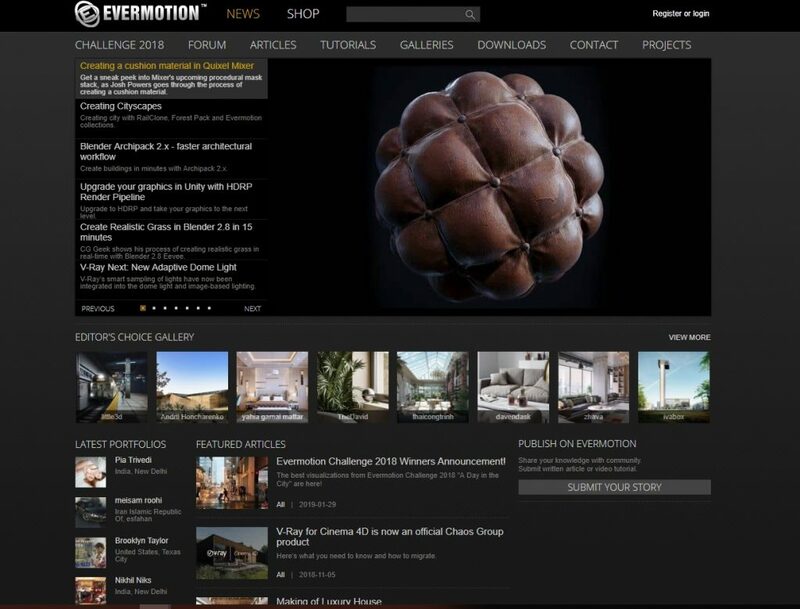 Years ago a company that was doing 3D decided to make a platform where to sell packages of 3D models for the Architectural Visualisation industry. They had a section as a forum for all 3D visualisers to discuss projects. 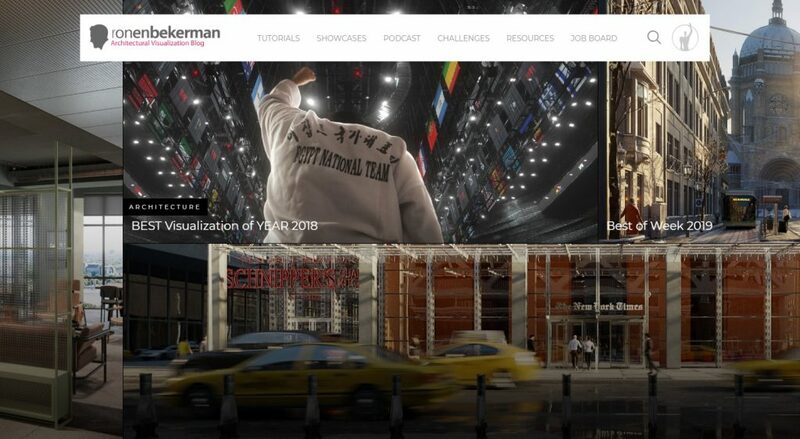 As with the time, that forum became the place-to-go for every 3D visualiser to gain some exposure and find clients or just appreciation from the community. They have Gallery and Showcase sections as well. Although it’s not stated, you can find 3D artist through that website as well. Unfortunately, It might not be that easy, as it is a still forum based. Therefore you have to register as a forum user, find the profile of the user you want to contact and send them a message. Be mindful not every user has its company name, so you might not find their company on Google as many of them may be Freelancers. Maybe the oldest community of 3D visualisers, Architects and all sorts of 3D professionals gathered together. I’ve always been able to find help for specific problems, and the people on that forum are always there to help. There you will find everything: Gallery, Members tab, Forums, Jobs sections where you browse through and see what you are looking for. Again as this is a forum-type website, you have to register to able to send messages. As everyone is on social networks today, you should expect to find work or portfolios on those as well. It is an excellent way to find Visualiser. It is good to have in mind that by contacting someone there you are disclosing your identity and you might be spammed a lot from Architectural Visualiser freelancers offering you low-cost solutions. Well, a known social network for professionals. According to the makers of that network, it should be easy to find a professional that you can contact. Apparently, you have to put some more work in the search, as not all Visualisers have their folios there, but they have a link to their website or other profiles. Be aware if you post that you are looking to hire Visualiser you might be spammed to death by random people offering you affordable solutions for 3D. It is advisable to use as a rule of thumb to research carefully, the one that contacts you. Usually, they are trying to undermine the sector with prices, and they might deliver you poor quality or misleading services. Conclusion and key points on What is an Architectural Visualiser and 7 places to find one? Inevitably the list does not end here, and there are numerous other ways to find on internet Architectural visualiser. I am working to extend that list in a few weeks time, so if you are interested in that topic, do come back and check from time to time. Key points: What is an Architectural Visualiser and 7 places to find one? Architectural Visualiser is a person or company that produces 3D images through special software. Have questions about our service: Architectural visualisation or need advice on how to recruit Architectural Visualiser? We are happy to provide you with free guidance and advice, drop us an e-mail or call us. Have another question related to 3D Interior Visualisation? These two topics might give you the answer you are looking for. Click on one of the links below to read.